Want to start mountain biking? Not sure how to start? No worries, read our buyer's guide now. 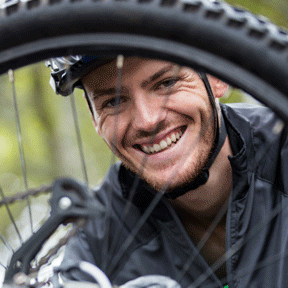 This Guide is written based on most common questions asked by entry level mountain bikers. Welcome to RiseBiker.com. I am James D. Pearson, the person behind this website. I started mountain biking at the beginning of 2017. As an entry level biker, I had to go through different struggling situations. That's why, I stated this blog to help people like me. I love to share my biking experience with you all with the mountain bike and its accessories reviews, buying guides, awesome biking resources and much more. If you are an experience guy in this arena, I would love to learn for you and improve my knowledge. Don't hesitate to give your feedback. Thanks for your time.